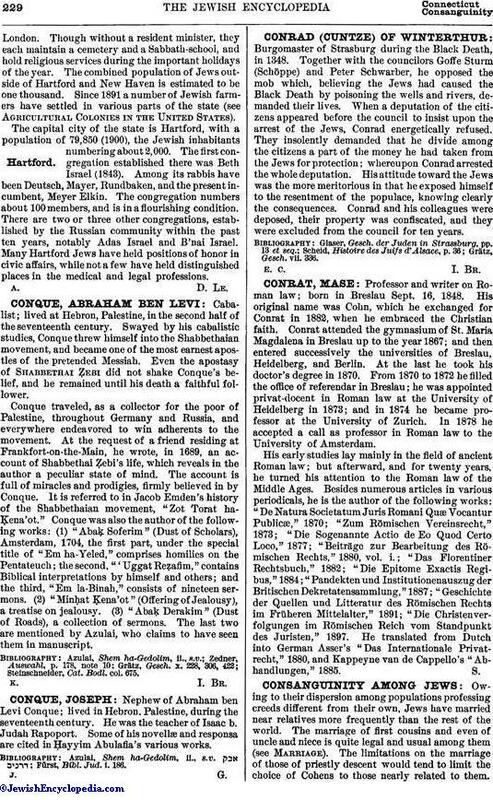 Nephew of Abraham ben Levi Conque; lived in Hebron, Palestine, during the seventeenth century. He was the teacher of Isaac b. Judah Rapoport. Some of his novellæ and responsa are cited in Ḥayyim Abulafia's various works. Azulai, Shem ha-Gedolim, ii., s.v.